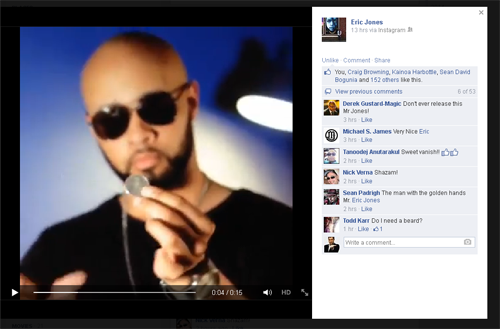 Eric Jones posted a smexy new coin vanish he calls "Evanesce" on his FaceBook wall today. No news from Eric about when, or if, he will release it. If you're on FaceBook you can check out the video HERE.